Habitat for Humanity of Greater Centre County relies on the generosity of individuals, faith organizations, corporations, and civic groups to sustain our operation. In addition to raising funds to support homebuilding and homebuyer education in Centre County, HFHGCC also tithes 10% of unrestricted donations to Habitat for Humanity International in order to build homes overseas. No matter the size of the gift, all support is greatly appreciated. 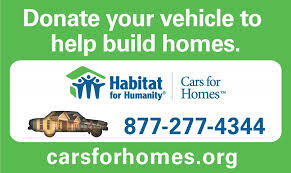 There are many different ways to give to Habitat for Humanity of Greater Centre County. 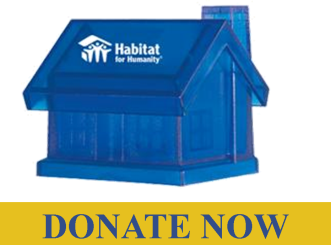 Every gift supports our affordable homebuilding mission. Thank you in advance for your generosity. Make your honorarium or memorial gift securely online now by clicking on Donate Now!, and designate your contribution "In Honor" or "In Memory" of someone, and let us know who to notify. HFHGCC can accept gifts of stock. Your special gift will provide affordable housing opportunities for qualified families and help them realize their dreams of homeownership. Many employers “match” their employees’ gifts thereby doubling or tripling your support. Check with your HR office to see if your company participates. Consider leaving a lasting legacy to local families who want to build better lives for themselves and their children by including HFHGCC in your estate plans. Habitat for Humanity of Greater Centre County makes its Annual Form 990s available for public inspection.